It is a company well known in the European market. Since 2005 it is created with passion by professionals: audio prosthetist , audiologists and technicians. We are a manufacturer of custom moulded hearing protection. 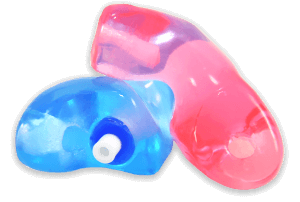 Our offer includes ALPINE hearing protectors and OTIS hearing protectors, as well as universal earplugs. In our offer we also have ear protectors in the active-shooting version, both universal and customized. We also have hearing protectors for children. We have a high-tech laboratory where we quickly and accurately perform the customized hearing protectors for your employees. Our products meet European quality standards and have a CE quality mark. Our customized hearing protectors are hygienic and safe, do not cause skin irritation, provide ear ventilation. They are easy to keep clean. Customized hearing protectors are made on the basis of ear impression to reflect the exact contour of each worker’s ear, after painless laryngological examination. Regular use of customised hearing protectors increases work performance and safety, improves motivation to work and reduces waste of time and materials caused by mistakes. The cost of customized hearing protectors is comparable to the cost of personal protection currently used by most employers. Our hearing protectors have a five-year guarantee and require no service or additional costs during this time.